If you want to make short work of a project that involves drilling into concrete or brick, you need a hammer drill. The best hammer drill provides plenty of power, has multiple speed functions and keeps your comfort in mind. Whether you are looking for the best corded hammer drill or the best cordless hammer drill, read on for our top picks. What do look for in a hammer drill? We rounded up five of the best. Four of the hammer drills in our roundup are corded, and just one is cordless and battery powered. The power of the motor will determine if your hammer drill can do the job or if it’s going to seize up. While none of the drills we looked at are particularly powerful, only one, the Neiko, has what you could call a pretty weak motor — just 4.2 amps. We looked at both hammer drills and rotary hammers. Rotary hammers, such as the Makita SDS-Plus, usually have more power and more options that hammer drills. Whether you need a rotary hammer or hammer drill depends on your project. 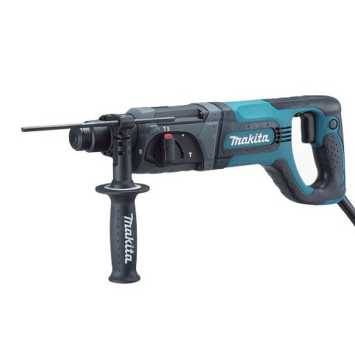 With a 7.0 amp motor, the Makita SDS-Plus Rotary Hammer spins at 1,100 RPM and delivers up to 4,500 BPM. The rotary hammer has three operation functions, including hammering and rotation, hammering only and rotation only, so you can use it for a variety of purposes. The Makita rotary hammer wasn’t just designed with power in mind. It also puts comfort at the forefront. It has a D-shaped hand with a soft grip, and a comfort grip side handle. A sliding chuck makes it super easy to change drill bits as you work with just one touch. For those times when you need to drill at an unusual angle, the Makita rotary hammer lets you adjust the bit to 40 different angles. People who’ve used the Makita hammer drill have been pretty impressed with it. Some reviewers compared it to considerably pricier tools, noting that the Makita did just as a good a job as the more expensive options, but for much less. The only real complaint that people had about the Makita was that it was on the wimpy side. It’s best for light jobs, a few a noted. Other than that, this really is the best corded hammer drill on the market right now! Well, you get what you pay for. The Neiko hammer drill is one of the most budget-friendly options in our roundup. 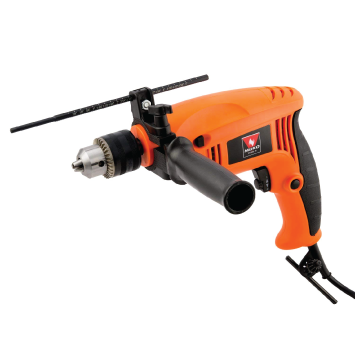 It’s also the least powerful hammer drill we’ve included — it has a 4.2 amp motor. If you’re looking for the best hammer drill for light jobs and you don’t want to break the bank getting one, this is the option for you. It works with most bits, has several speed options and goes in reverse. You can use the hammer drill in drill-only mode or combine drilling with hammering action. There’s no hammer only mode since it’s not a rotary hammer. One of the best uses for the Neiko hammer drill is when you have a small job to perform and when a regular drill just won’t cut it. People who’ve used the hammer drill have most had success when they’ve used it for small projects. The one significant complaint people had about the drill was that it seems to have a short life. That short life might be due to the weak motor — if you overtax it, it’s going to burn or short out. The first DeWalt product on our roundup of the best hammer drills, the DeWalt DW511 has a single speed setting. Don’t let that scare you away, though, as you can easily control the speed based on the amount of pressure you put on the trigger. It also has a side handle that rotates a full 360 degrees, allowing you to get a comfortable, secure grip on the tool, no matter where you’re drilling. Compared to other hammer drills in our roundup, the DeWalt DW511 is relatively lightweight, coming in at under 5 pounds. When hammering into masonry, the tool delivers an impressive 46,000 BPM. For the most part, people love their DeWalt hammer drill. Several have said that it’s held up nicely and that it’s done a great job with projects around their home, such as drilling into a brick wall or concrete ceiling. 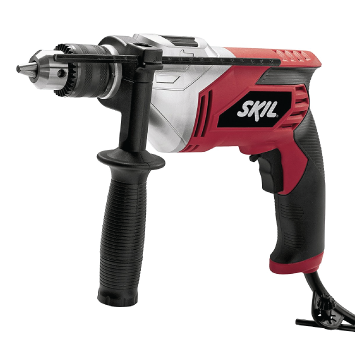 The SKIL hammer drill features a 7.0 amp engine and a 1/2 inch keyed chuck. You can use the drill with masonry or concrete bits and with woodworking bits. One thing that the SKIL hammer drill offers is control. It has a 2-finger trigger that locks, so you can easily adjust the speed of the drill as you work. The trigger is also variable speed and moves smoothly from slow to faster speeds based on the job you’re doing. People who’ve used the SKIL hammer drill have been pretty impressed with it. A few noted that it exceeded their expectations regarding quality and performance. Others noted that it’s great for DIY projects, but warned professionals to stay away. Those that had complaints about the hammer drill noted that it didn’t seem to last for very long and that it felt underpowered at high speeds. 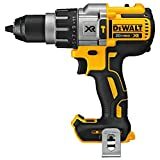 The DeWalt Lithium-Ion Brushless 3-Speed Hammer Drill is the best cordless hammer drill in our roundup. In part, that’s because it’s the only cordless hammer drill in our roundup. 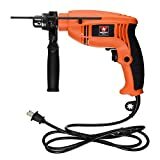 The cordless hammer drill has a brushless motor that allows it to operate for nearly 60 percent longer compared to cordless drills with brushed motors. It can also provide speeds that are almost three times faster than other hamer drills. One feature you get on the DeWalt cordless drill that we haven’t seen on other hammer drills or rotary hammers is a light. The cordless drill has a 3-mode LED that includes a spotlight mode, making it easy to work in darker conditions. 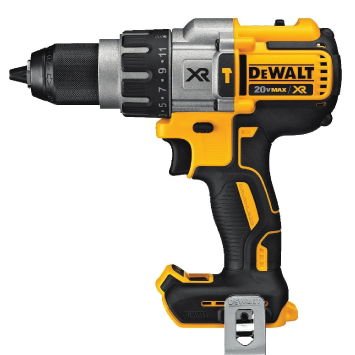 The tricky thing about the DeWalt cordless hammer drill is that it isn’t sold with a battery. If you already use battery powered tools from DeWalt, you can most likely use the same batteries (provided that they are 20V). 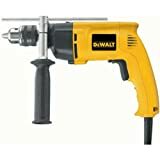 Users of the cordless hammer drill are pretty happy with it, with one person claiming that it is the best hammer drill made by DeWalt. Others noted that the battery life on the drill was pretty impressive. Of course, you can’t please everyone, and a few people had some complaints about the drill. Many of the complaints focused on the chuck and how it easily wore out and was tricky to replace. Why Use a Hammer Drill? There are times when a regular old drill just won’t cut it. In those instances, using the best hammer drill is going to make short work of the job and will allow you to complete a project without damaging the materials, your tools, or yourself. Unlike a standard drill, which spins, a hammer drill spins and moves up and down. The up and down, or hammering, action is what allows it to make holes in masonry, concrete, and mortar easily. You can use a standard drill on masonry, mortar, or concrete, provided you use the right type of drill bit. But you’re more likely to finish the job more quickly if you switch to a hammer drill. Several types of hammer drill exist. The two most common types of a hammer drill and a rotary hammer drill. You can also find corded hammer drills and cordless hammer drills. The big difference between a hammer drill and a rotary hammer drill is how the hammering action is produced. A standard hammer drill has two discs that are responsible for creating the up and down hammering action. You have the option of turning off the hammer action and of using a hammer drill just like a standard drill. The hammering action in a rotary hammer drill is created by a piston. As the piston moves back and forth in the shaft, it pushes compressed air, causing the hammering action. With a rotary hammer drill, you can turn off the rotation of the drill bit and use it just like a hammer. You can also turn the hammer feature off on some models and use it as a regular old drill. Along with choosing between a hammer drill and a rotary hammer drill, there are a few features you might want to pay attention to when choosing the best hammer drill for your project. Speed selection — do you have options for adjusting the speed of the drill? Reverse — you need to be able to go into reverse to pull the drill bit out of the hole. Side handles — the force of a hammer drill can be pretty strong. An additional handle will help you get a better grip and better control over its movement. Depth rod — If you’re drilling to a certain depth, using a depth rod will help you avoid over drilling. Motor power — The stronger the motor, the bigger the holes you’ll be able to make. The good news about using a hammer drill is that it’s pretty similar to using any other type of drill. To get started with the drill, you need to choose the appropriate bit. The right drill bit depends on what you’re drilling into (masonry or concrete) and the size hole you’re going to make. If you’re making a larger hole, it’s a good idea to start smaller, with a 1/8 inch or 1/4 inch drill bit then change bits as you go. Mark the spot where you’re going to drill, put on your safety goggles and get ready to go. Position the drill bit over the mark. If your hammer drill has a depth rod or stop bar, adjust it to the depth of the hole you’re going to make. Grip the hammer drill tightly. Hold onto the side handle with one hand and the trigger part of the drill with the other — this isn’t a one-handed job. Keep the drill perpendicular to the material you’re drilling at all times. If you move it up or down, your hole will end up crooked. Drill slowly to avoid overheating the tool. If the drill has a slow setting, keep it on that while you go. Otherwise, just go slowly and gently. You’ll want to pull the drill out of the hole a few times as you work to remove any debris or dust that might accumulate around the drill bit. After you’ve made the hole, gently blow on it to clear away any remaining dust. Repeat to make as many holes as you need. 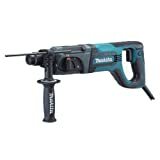 When it comes to the best hammer drill, whether corded or cordless, we’re going to go with the Makita HR2475 1-Inch D-Handle SDS-Plus Rotary Hammer. Technically, it’s a rotary hammer. But it’s able to do everything a hammer drill can and more, which is why we think it’s the best hammer drill out there. Hopefully you’ve found the best corded hammer drill or the best cordless hammer drill to meet your needs. Good luck!